The lawsuit makes a number of allegations that have popped up against Success and other charter networks before: that they have threatened parents with child welfare investigations, held students back from advancing to the next grade level for disciplinary reasons, and generally use harsh discipline practices that have a disproportionate effect on students with disabilities. Success Academy has been repeatedly sued for abusing its students and violating their rights, as well as calling ACS on parents who complain; here are just some of the previous and ongoing lawsuits against this chain of charter schools. Yet in its wisdom, the US Department of Education just awarded this serial violator of civil rights ten million dollars to add to the $43.4 million they had already given the Success chain. In addition, Tufts has announced they will provide Eva Moskowitz an honorary degree, the head of Success Academy and a defendant in these lawsuits. The former president of Tufts, Lawrence Bacow, who is the current president of Harvard is scheduled to speak at the Success high school's graduation, which last year only graduated 16 out of the 73 students who entered the school in Kindergarten or first grade. No doubt both occurrences were influenced by the fact that the head of the Success board, hedge funder Steve Galbreath, is also on the Tufts board of trustees and heads its investment committee. The chaotic and abusive treatment suffered by her high school students and which caused most of the teaching staff to quit in disgust last year was extensively chronicled, including by this radio podcast. Meanwhile, at the end of February NYSED also sustained a complaint filed by Advocates for Children against Success for violating the due process rights of special needs students and failing to provide them with their mandated services; NYSED confirmed that NYC DOE had also done a lousy job in ensuring Success complied with the law. The State Education Department ordered Success Academy by March 29 to take the following steps, among others: to submit a list of students with disabilities whose mandated Individual Education Programs are not being implemented, evidence that Success has informed the DoE's Committee for Special Education that they have not implemented those IEPs, what actions they've taken as a result to address this failure, and who is responsible at Success for monitoring their implementation. In addition, the DOE was ordered to implement a variety of "procedural safeguards" to ensure that parents and students are provided with their rights. The full NYSED decision and consent decree is below. Cross posted from Parent Coalition for Student Privacy. Yesterday, in a NY Times front page story, the reporter Nellie Bowles explored the many problems experienced by Kansas students and parents when the online Summit Learning program was imposed on their schools, including health problems, poor curriculum and lax privacy. "It sounded great, what they sold us,” said one parent. “It was the worst lemon car that we’ve ever bought.” Please read the article and if you're a Summit parent anywhere in the country, share your experiences in the online portal at the end of the article. 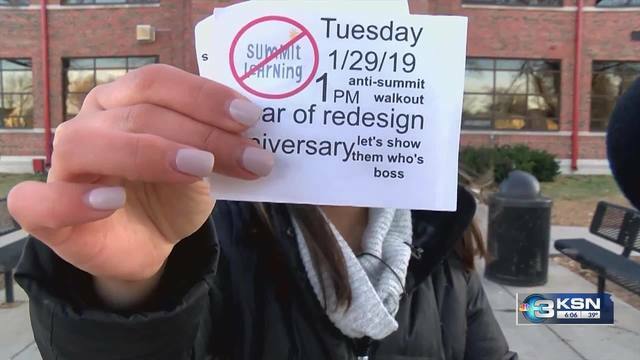 I've written about growing resistance to the Summit platform since 2016, here, here, here and here, including my visit to a Summit charter school here. Though the NY Times article gives short shrift to the issue of privacy it does contain a quote from me about the tremendously intrusive wealth of personal data that Summit and the Chan Zuckerberg Initiative are collecting. Mark Zuckerberg has repeatedly broken every promise he’s made about keeping personal data private and neither CZI nor the new nonprofit that will take over Summit headed by Zuckerberg's wife have provided any reason that parents should trust them any more. This is a growing phenomenon. Note the thousands of Ontario students who organized a mass walk-out earlier this month of schools throughout the province, against proposed staffing cuts, rising class sizes, and a requirement that all high school students take online courses. 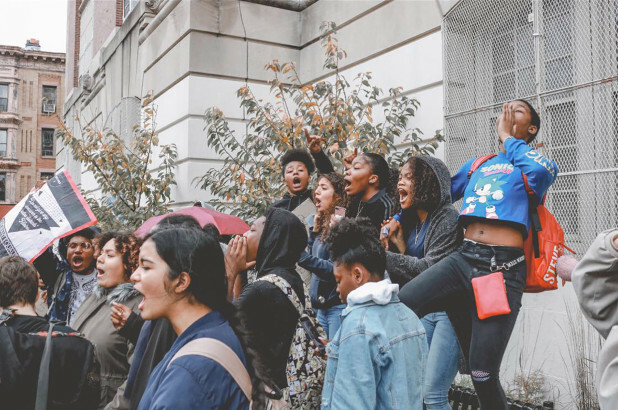 All of these students are showing courage and agency by resisting the narrow technocratic and ultimately dehumanizing policies that threaten to fatally damage their education. It was just announced that at as a "compromise" at the McPherson middle school that the NY Times reported on, up to 225 students will be allowed to opt out of Summit next year. Five years ago yesterday, inBloom closed its doors after parents rebelled against this Gates Foundation $100 project, designed to collect and share the personal student information of nine states and districts with for-profit ed tech companies. At that time I asked, does that mean government officials, corporations and foundations have learned their lesson? The continued invasion of ed tech into our classrooms, including the expansion of Summit, sadly shows not. But as parents are increasingly joined with students in rebellion against depersonalized learning, perhaps we have a chance to beat it, once and for all. Our updated fact sheet on Summit, including questions that parents and students should ask before the program is implemented in their schools is here: Summit fact sheet 4.22.19 and below. More on this fast-developing if infuriating story in the Daily News here. This morning at Tweed, Chancellor Carranza spoke about his opposition to the long-standing DOE practice of allowing charter schools to use the DOE mailing lists. He said no final decision has yet been made to change this practice– contrary to what reporters had already been told about this as late as last night and parents this morning. He asked for parents to make their voices heard about whether they wanted this practice to continue or not. The charter organizations are going to the media saying that this is unfair….I want parents to have all the info they need to make an informed decision. I do not believe that it is the responsibility of the DOE to provide this info to charters and help in some cases to destroy our public schools. 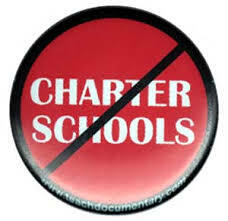 Then he talks about co-located charters with millions in private funding to ramp up their programs…. So they should use some of those millions to do your own recruitment. Important that parent voices I’ve heard all across the city are speaking up about how you feel about this issue. It’s going to be critically important now is the time as conversations are already happening. What we’re going to release about supervision we are going to do and about access. . We are not announcing anything today…But the conversation should absolutely start today. Then Carranza talks about asking for possibly requiring affirmative parent consent –I’ve heard from parents, the mayor has heard from parents. I have to get on a call about this very issue…. A lot of issues. I want to speak transparently, unvarnished. I personally as an educator I’m not anti-charter b/c I can’t tell you that every one of 1800 schools I’d be comfortable sending my child to, but that drives me every day to make sure they are. But how can I support any system structure or practice that denigrates the very work we’re trying to - how can I help someone load up a moving van and give him the gas for the van and steal my furniture. I have responsibility as chancellor of DOE to call this out. But what you’re going to hear, they’re going to characterize this that I’m fighting with charter schools and its going to get personal that I’m trying to destroy charters. That doesn’t bother me but what bothers me is this… is that it gets confused. When I’m in Harlem and D3 and they show me how they’re doing the hard work to improve their schools and recruiting families and yet about the saturation of charters in that district, we fight it in Albany but Suny approves it. At some point you have to take care of your own..
Parent Grace Lovaglio ends the session by saying to her phone: Thank you so much! You heard it heard first that the charter school issue is going to be addressed finally after years of abuse and getting funds…getting student info because Bloomberg sold out. I’m just so happy that Chancellor going to address this issue.